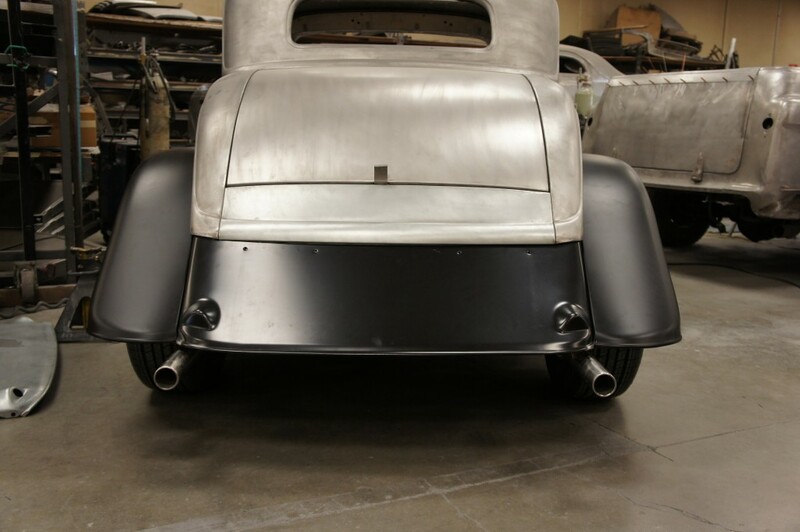 Steve's Auto Restorations | FRONT AND REAR FENDERS AND GAS TANK COVER HAVE BEEN TEST FIT AND ARE IN STOCK! 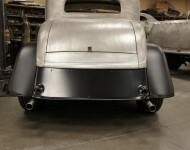 New front and rear fenders and gas tank cover have been test fit on a stock 1934 5 Window Coupe. The fit up looks great and has been accepted. We are happy to announce that due to an overwhelming demand new steel fenders and gas tank covers are available again and in stock at Steve’s Auto Restorations. As you may expect this is a time consuming project and very expensive to make exacting reproductions of the model 40, 1933/1934 fenders for Coupes, Roadsters, Cabriolets and Sedans. Call (503 665 2222) to get your order placed.